Enables users to split and delete pages. 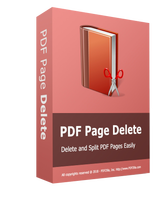 PDF Page Delete 3.0 was available as a giveaway on October 21, 2018! How would you improve PDF Page Delete 3.0? Did you register the program as described in the readme file? I had no red watermarks on the files I made. Paul A, Did you register the program as described in the readme file? I had no red watermarks on the files I made. I find this to be a very useful program. I can check and delete any single or selection of pages from a pdf and remove them, it saved it to the same name but with an addition so it didnt overwrite. I can delete odd or even pages with one click). With one click of the split to single PDF button at bottom it saved every page as its own pdf in a subfolder. And with split page range, I could split say every 3 or every 5 pages to separate pdfs, and worked with hundreds of pages quick. It does not export to formats other then pdfs such as jpg, and does not have any combine features such as importing several other pdfs and combining them into one then deleting the pages which would be a good feature to add, you can only work with each original file to delete pages or split it up. It also has no editing of the page, but for what it can do, it works well and fast. Please see my post #9 re. PDFill Tools which does all these things (e.g. Merge and adding headers & footers) and plenty more, all for free. DataDragon, "It does not export to formats other then pdfs such as jpg, and does not have any combine features such as importing several other pdfs and combining them into one ..." etc Please see my post #9 re. PDFill Tools which does all these things (e.g. Merge and adding headers & footers) and plenty more, all for free. If this does what it says it will, then it will be really useful. Three questions. QUESTION 1: When it exports to individual pages, does it export as .JPG files or .PDF files? QUESTION 2: Can I add a page? QUESTION 3: Can I recombine the exported pages. If this does what it says it will, then it will be really useful. Three questions. QUESTION 1: When it exports to individual pages, does it export as .JPG files or .PDF files? QUESTION 2: Can I add a page? QUESTION 3: Can I recombine the exported pages. Exports to PDF. 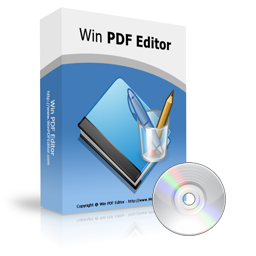 You are working with existing pdf to either remove a page or any combo of various pages from it, or split it into individual pdfs for every page or say every 3 or 10 whole pages split it into a new file pdf. It doesnt allow you to add more then 1 pdf then edit it further so theres no way to add a page or recombine since you cant add more then 1 pdf currently. If they wanted to add a page, it would be best to also have the ability to rearrange pages so you can place it where you want instead of only at the top or bottom, or asking if combining or just adding a page to either import a second whole document or only one page from it. I downloaded easily and deleted a pdf page successfully in a minute. Very useful program for pdf users who don't own a pro adobe acrobat. Thanks GOTD. When you talk about splitting pages, do you mean that you can split a page into parts, i.e. delete part or split it into two separate pages? That would be very useful. Or do you mean splitting files (not pages) into separate pages, without altering the actual pages, which is useful only to those who do not have Acrobat? Logically it is the former, but it seems from the description that it is the latter - it does not split pages, but files containing less pages. Please let me know. When you talk about splitting pages, do you mean that you can split a page into parts, i.e. delete part or split it into two separate pages? That would be very useful. Or do you mean splitting files (not pages) into separate pages, without altering the actual pages, which is useful only to those who do not have Acrobat? Logically it is the former, but it seems from the description that it is the latter - it does not split pages, but files containing less pages. Please let me know. Gary, Every time I try to download and instal PDF Candy it downloads and instals but never works! I have tried several times. Rajesh P Pabari, If I do not find a comment useful, I do not have to explain why. One possibility is that for instance it refers to Windows 10 while I have XP. There are lots of other possibilities. I do not find your comment to be of any use to me. Rajesh P Pabari, when people submit a thumbs down THEY DO HAVE TO GIVE A PROPER REASON to be able to submit the user vote... try it yourself! Fact is it is none of your business why individuals vote the way they do. To be fair voting thumbs up should require the submission of why thye are giving a thumbs up to balance the voting bias towards thumbs up. I suggest you try voting thumbs down yourself and you will see the hoops we have to go through to get a thumbs down vote counted before you demand information you are not entitled to. Zen , Pssst thumbs up or thumbs down User Votes are nothing to do with the "Did you find this comment useful? yes | no ()" voting. Which is one reason you got lots of No not useful votes too! As may I as none of these comments in this thread are of any practical or comical use. Rajesh P Pabari, I agree with you, a negative or thumbs down isn't useful without comment. For instance Zen says it's not compatible with XP or any prior OS 10 would be useful. That is useful to know! Rick_S1, absolutely! I just reduced one such manual (Installation and Care) by 50%. I don't plan on printing it, but other folks may prefer to print their .pdf manuals. Charles Lewis, I appreciate the program and the inspiration since I sometime needs to use pdf files and appreciate your program that you provided for us for free today. Thank you since there is a need to use it if .pdf files are used regularly. Charles Lewis, last time I checked if you select the reason for thumbs down voting honestly and are voting thumbs down because you are not interested in this type of software your thumbs down vote does not contribute to the public user vote but may be counted privately by GAOTD internal statistics. So no the thumbs down is either people lying choosing a different reason to be part of the public stats or are not voting for the reason you suspect.